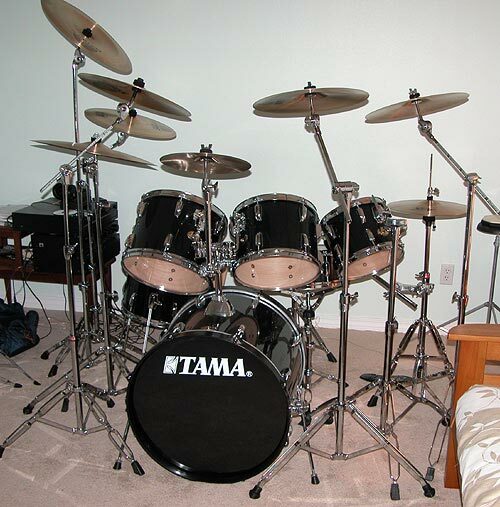 Here are some photos of my Tama Swingstar set in classic black. I really like the warmer tones of the Swingstar shells. 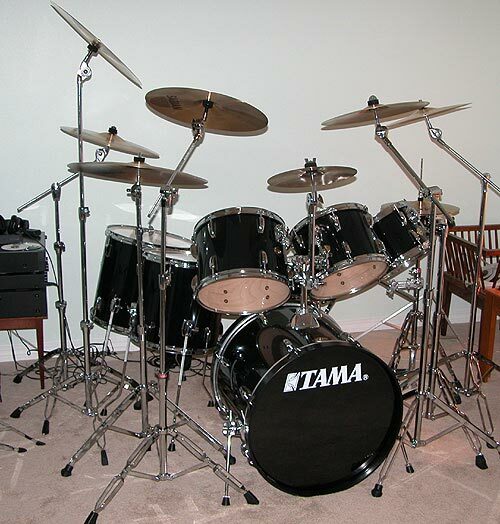 I have been playing drums for going on 30 years now, with a 10 year layoff in the middle. This set is relatively new, having gone back to acoustic drums from electronic ones; much to my neighbor's disgust of course. 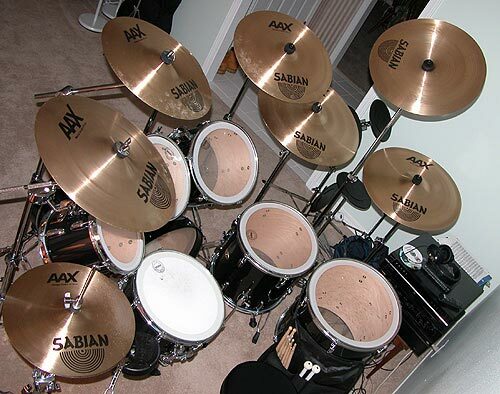 The set includes 10", 12" and 13" mounted toms, 14" and 16" floor toms and a 22" kick. The snare is 14"
The cymbals are Sabian AAX (a combination of metal, stage and studio) and include a 14" stage hats, 12" metal splash, 16" metal crash, 16" stage crash, 17" stage crash, 17" dark crash, 20" stage ride and an 18" china.